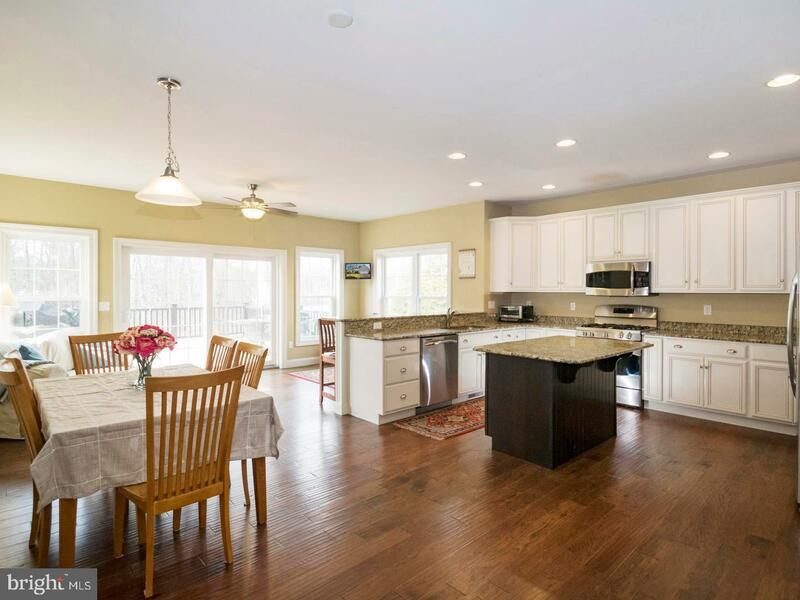 Welcome home to this Cedar Knoll built New Haven Model in the very desirable community of Wheatland Farms. 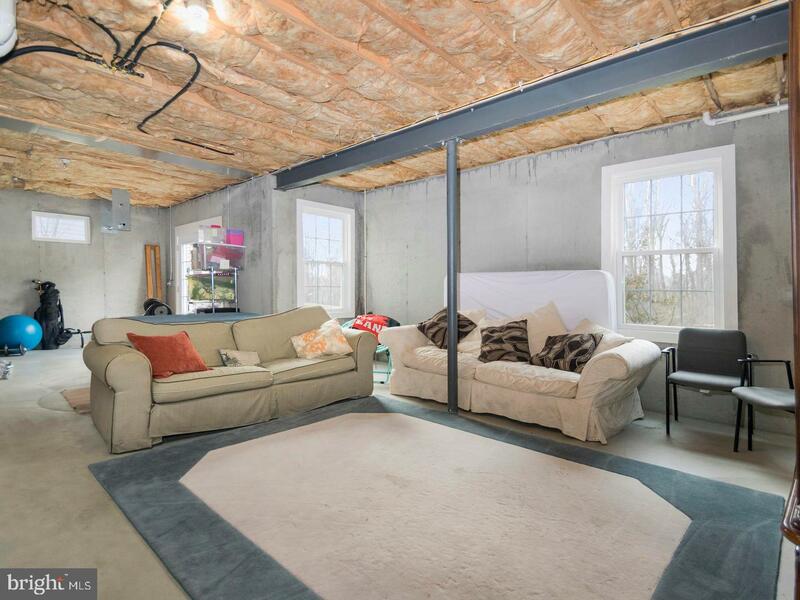 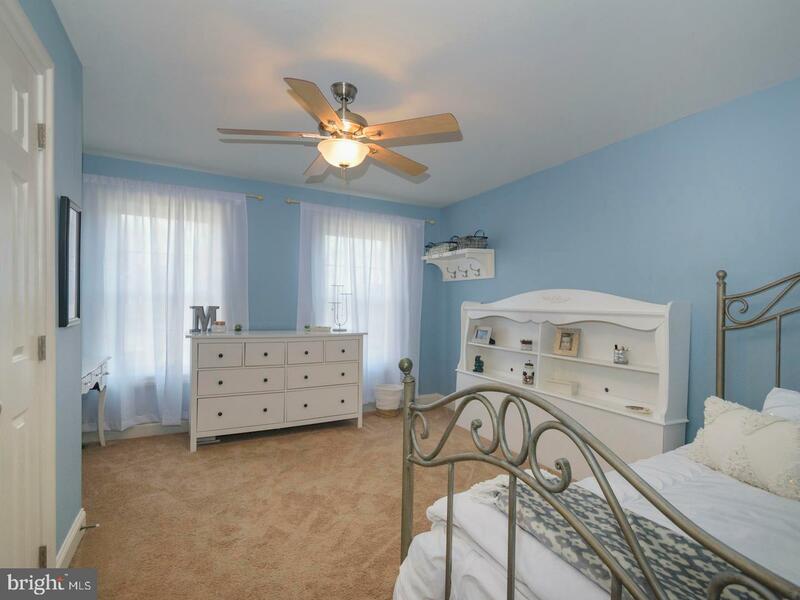 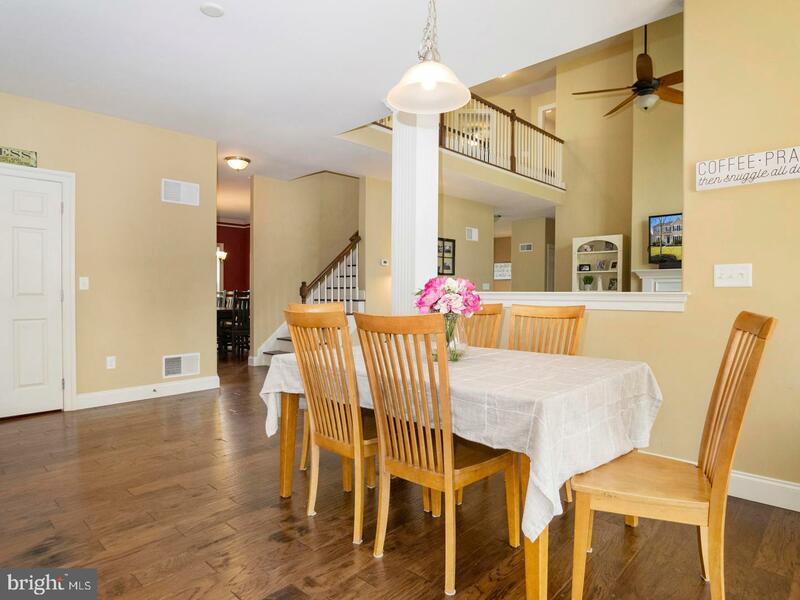 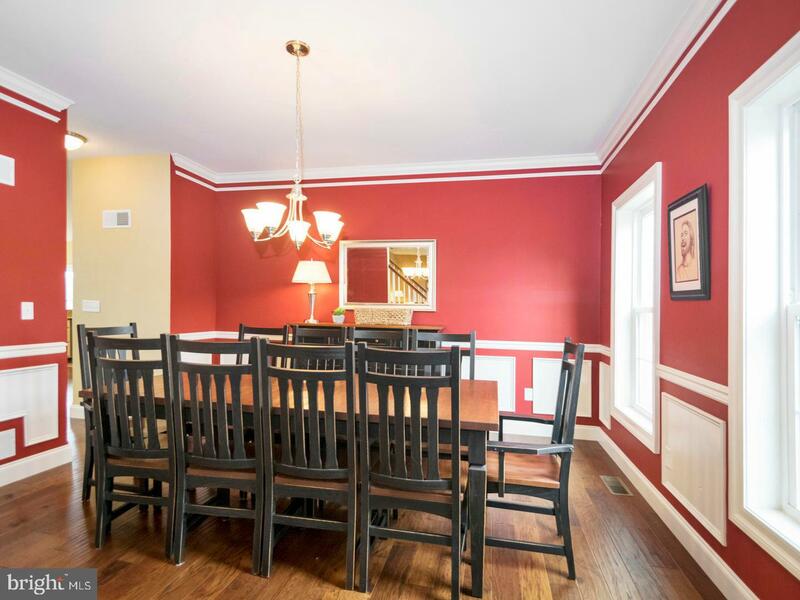 This home is situated on a family friendly cul-de-sac street. 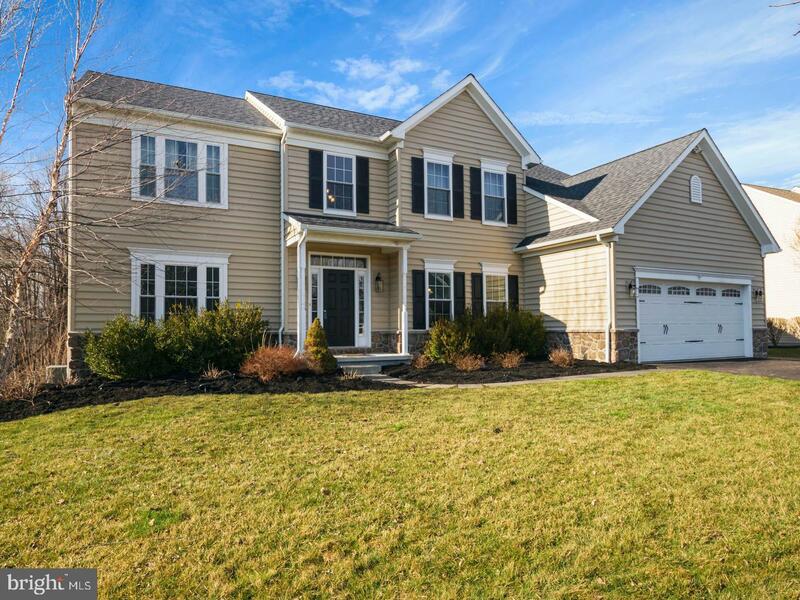 The front elevation boasts neutral Carolina beaded siding and black shutters with a stone skirt. 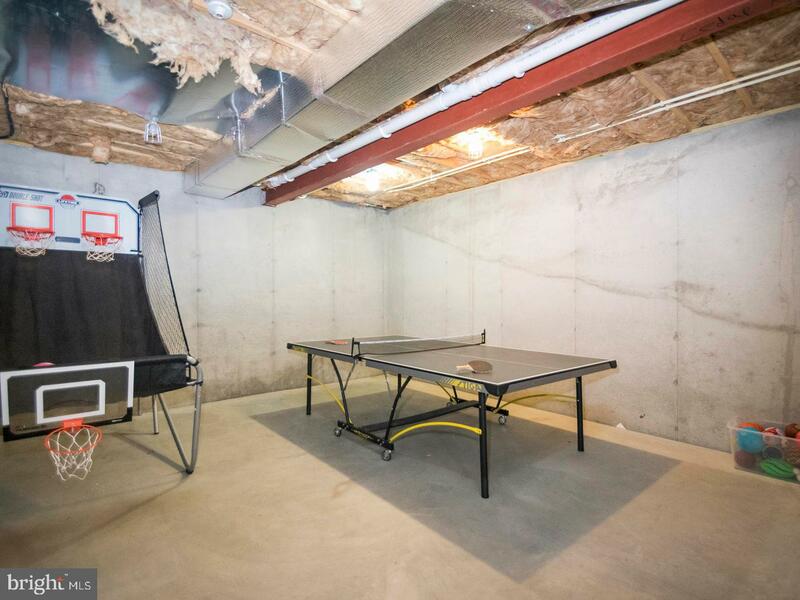 An oversized driveway doubles as basketball court.A covered front porch leads inside into a grand, two story foyer. 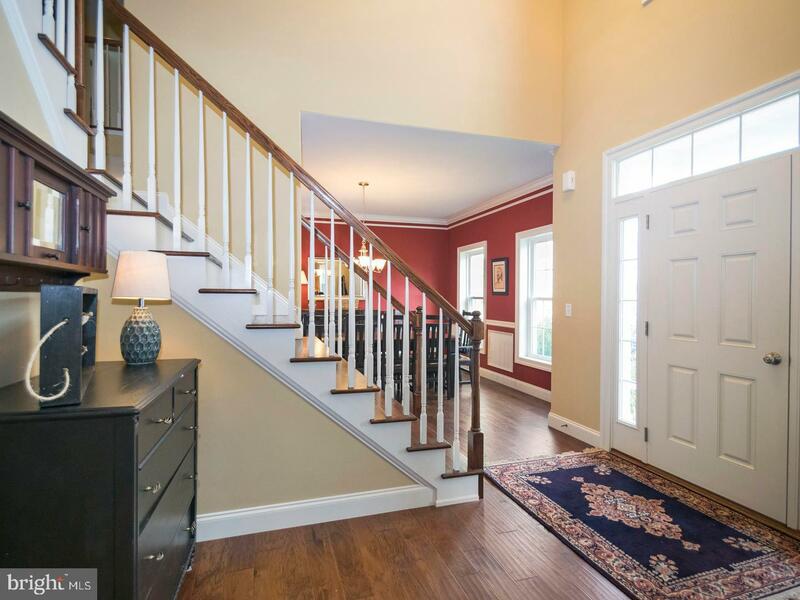 Front and back hardwood staircases provide convenience and a touch of elegance. 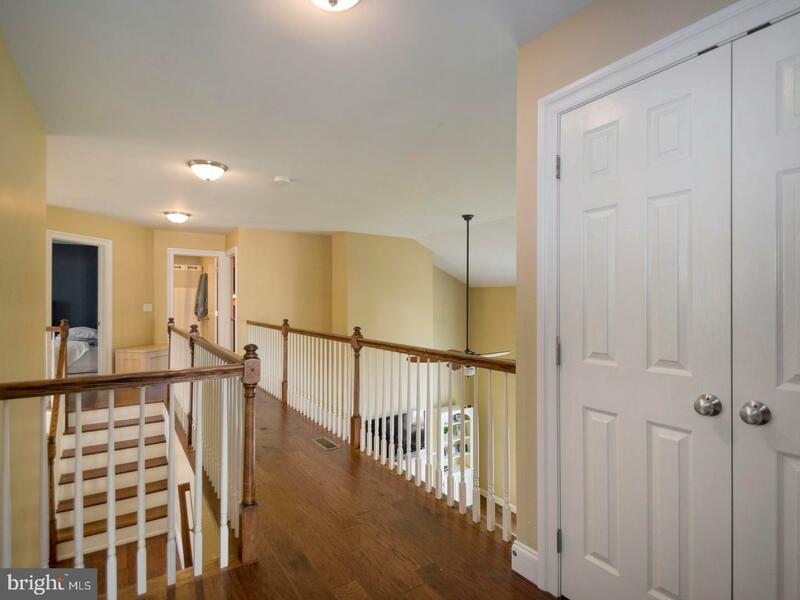 The hardwood flooring in the foyer continues throughout the entire first floor. 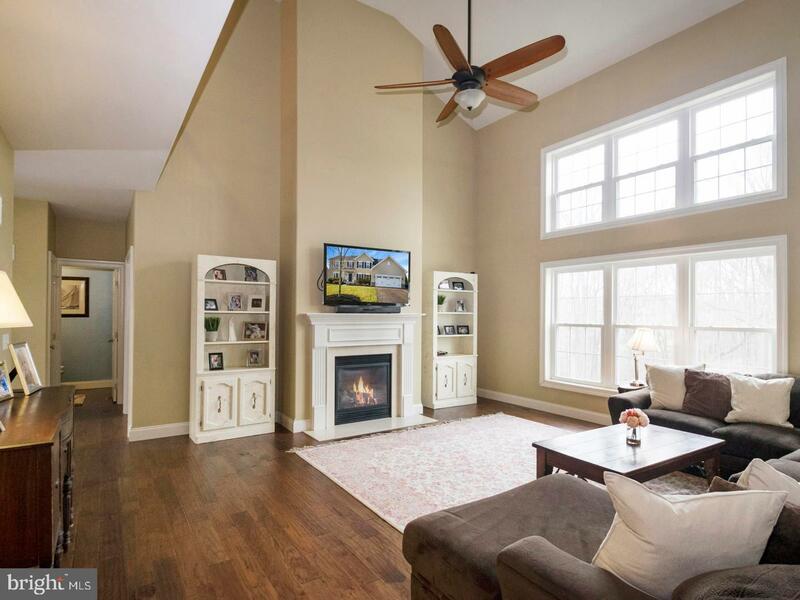 A spectacular two story family room adjoins a well-appointed and tasteful kitchen with upgraded cream cabinetry and granite countertops. 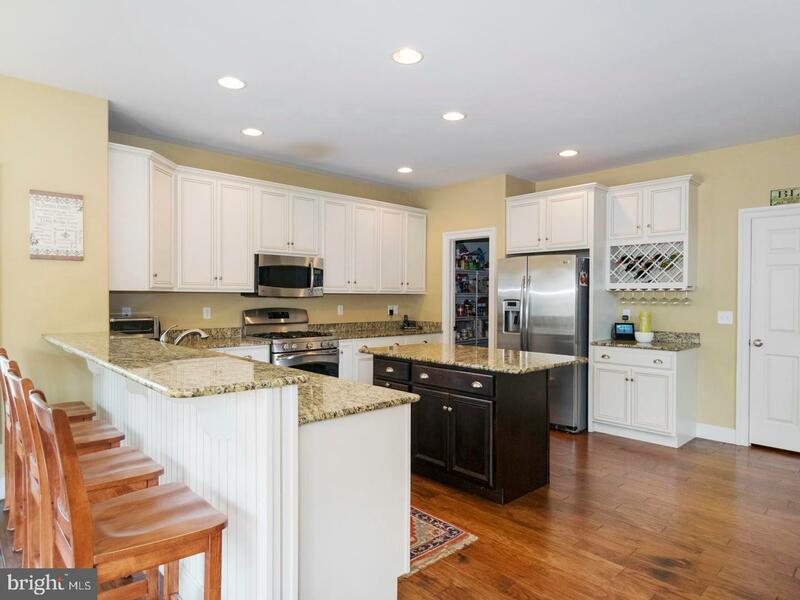 A gracious center island and peninsula make entertaining a breeze. 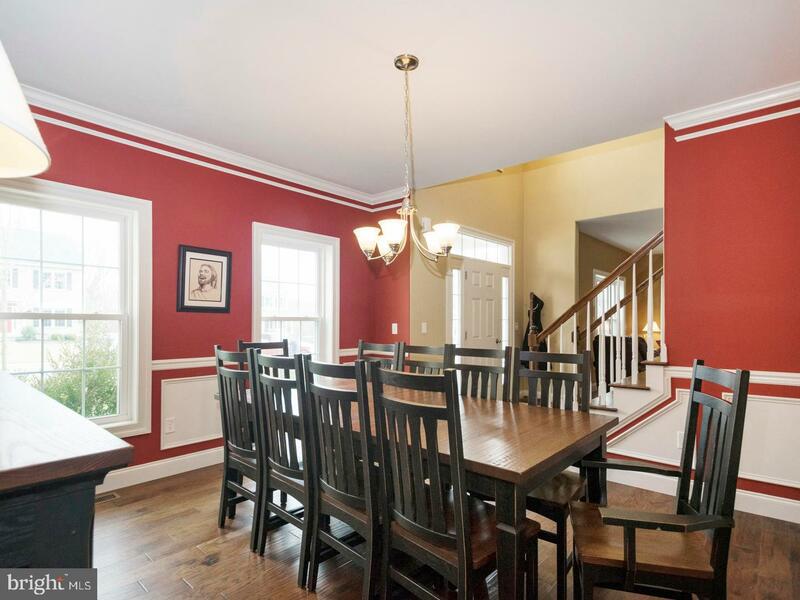 Stock the enormous walk-in pantry and invite guests over for dinner in the formal dining room complete with custom molding, or send them out to the new composite deck through the upgraded and expanded 8~ sliders. 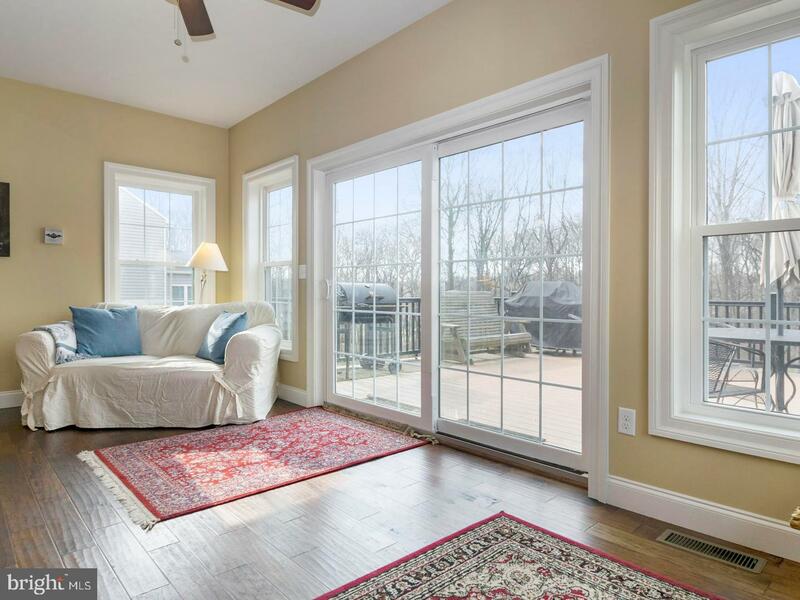 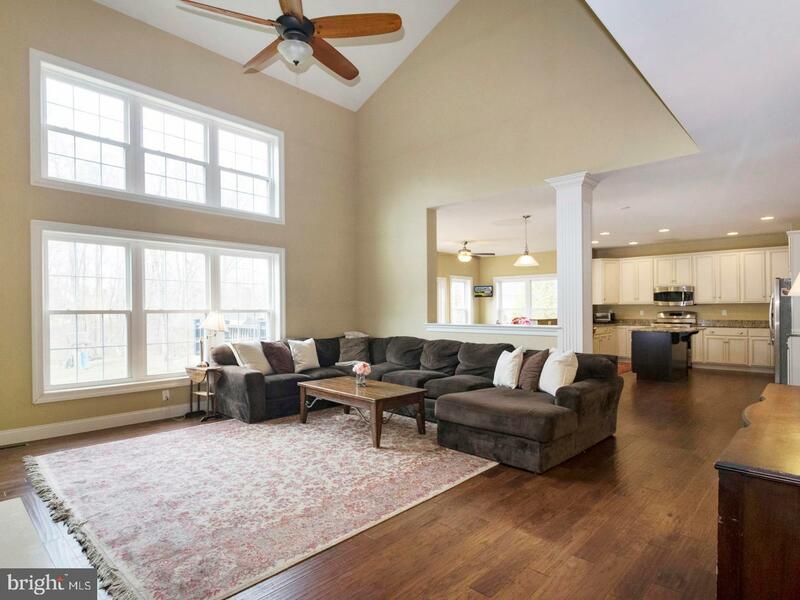 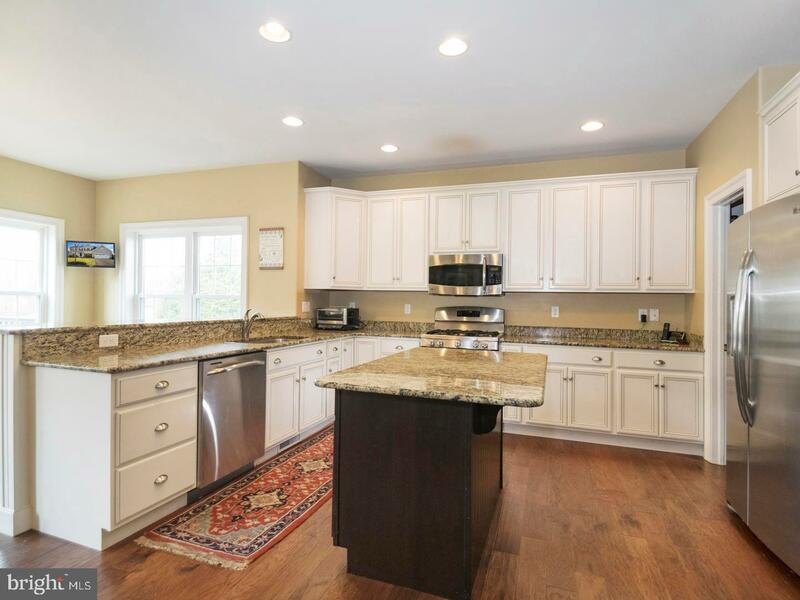 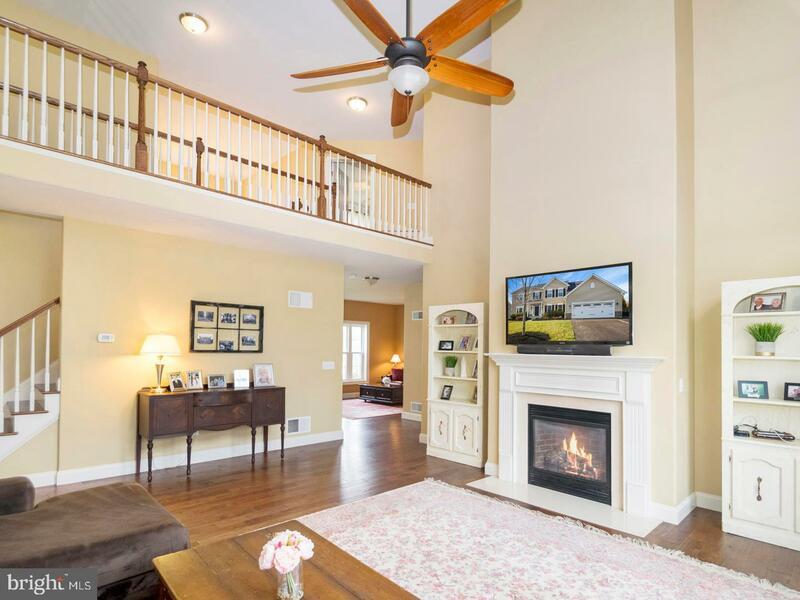 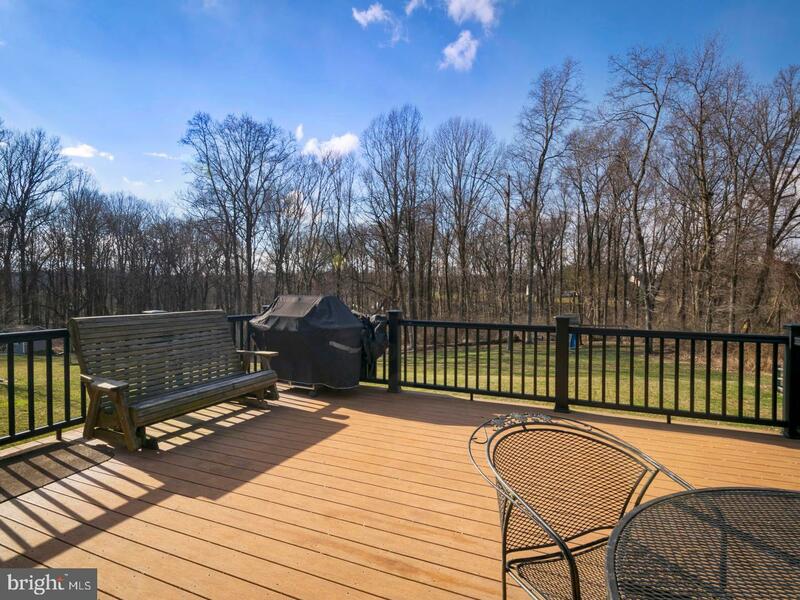 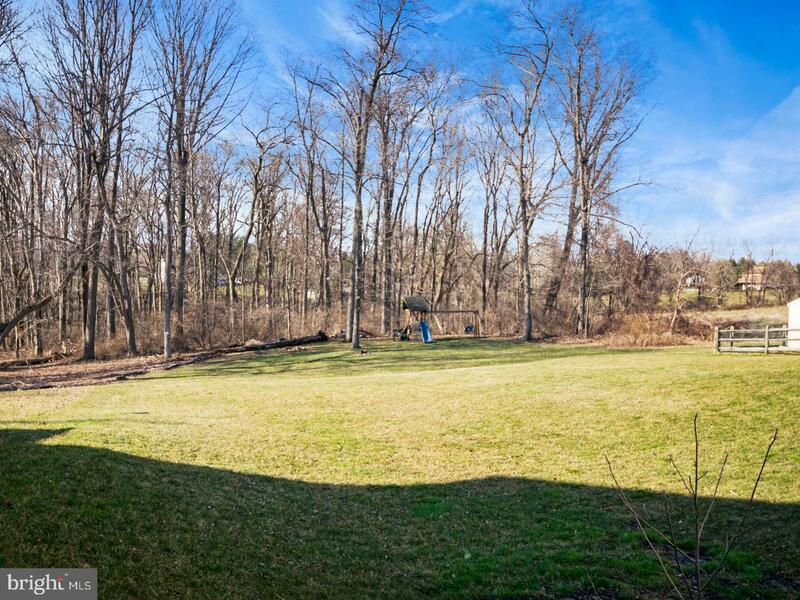 This home backs to wooded homeowners association owned land so BBQ in private.A den, powder room, laundry mudroom, and formal living and dining rooms complete the first floor. 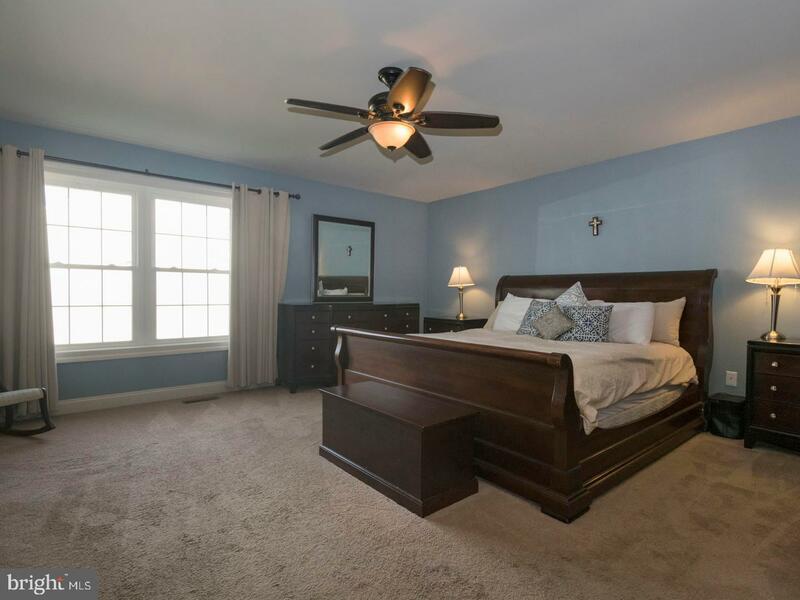 Upstairs you'll find three generously sized bedrooms, main bathroom, and a spacious master suite. 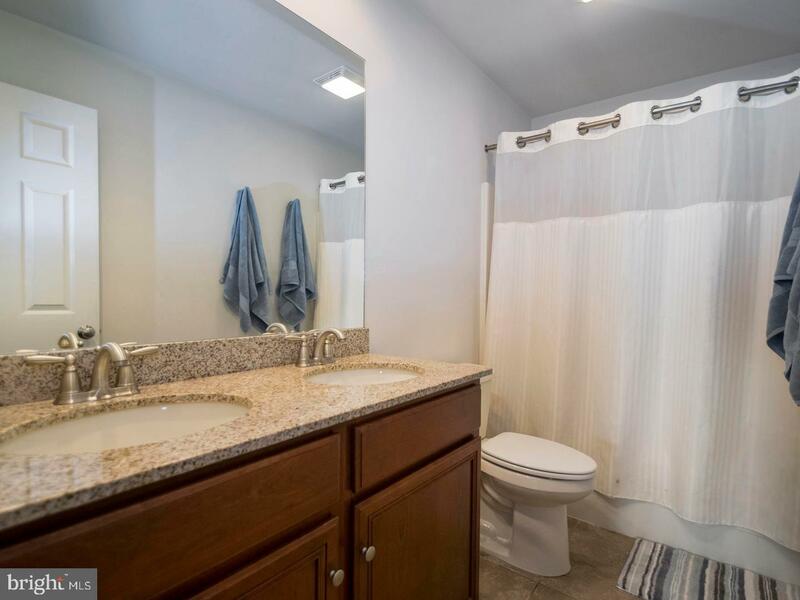 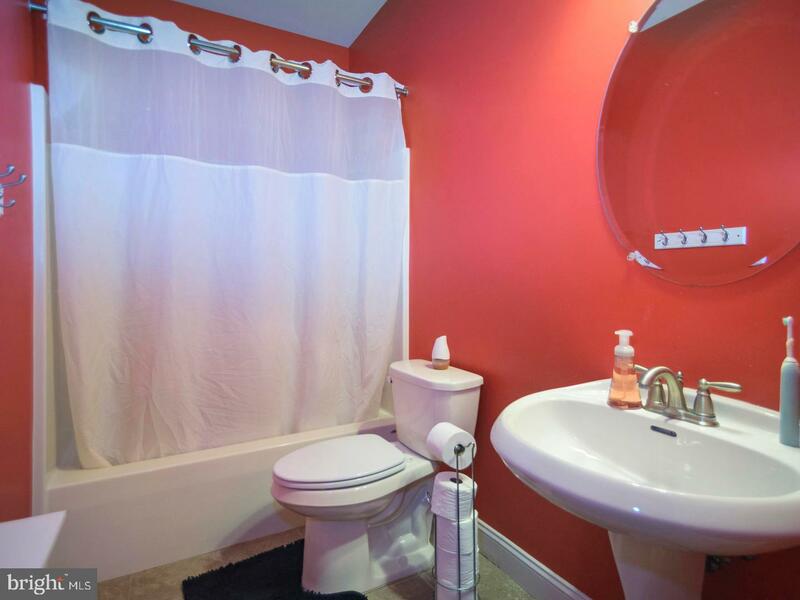 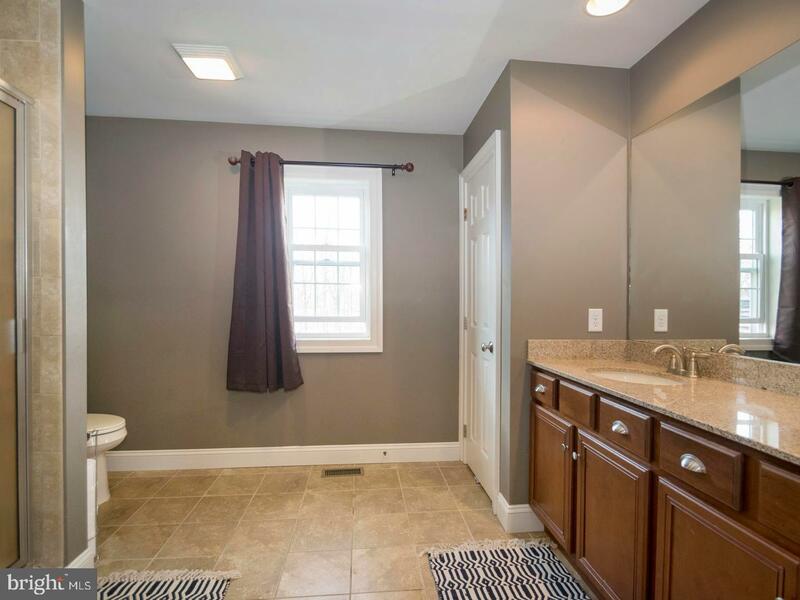 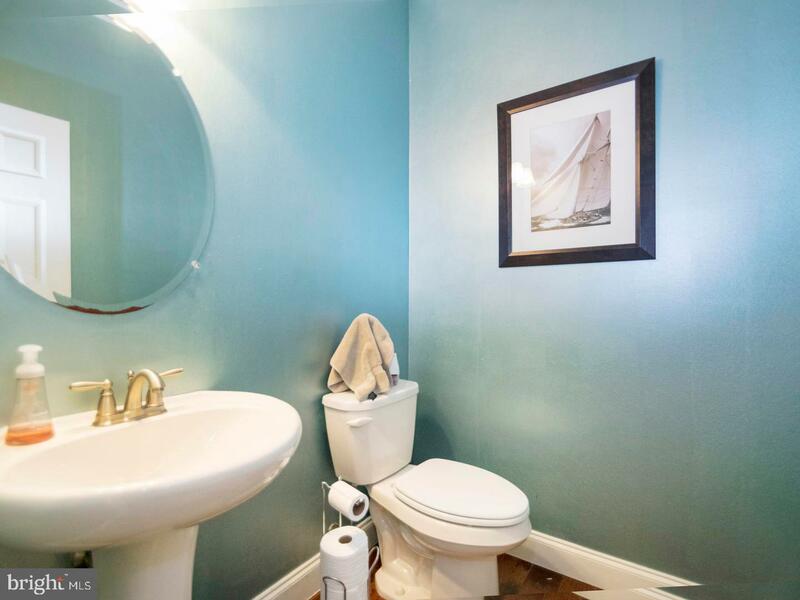 Separate his and her sinks, tile shower, and separate water closet make this master bath feel spa-like. 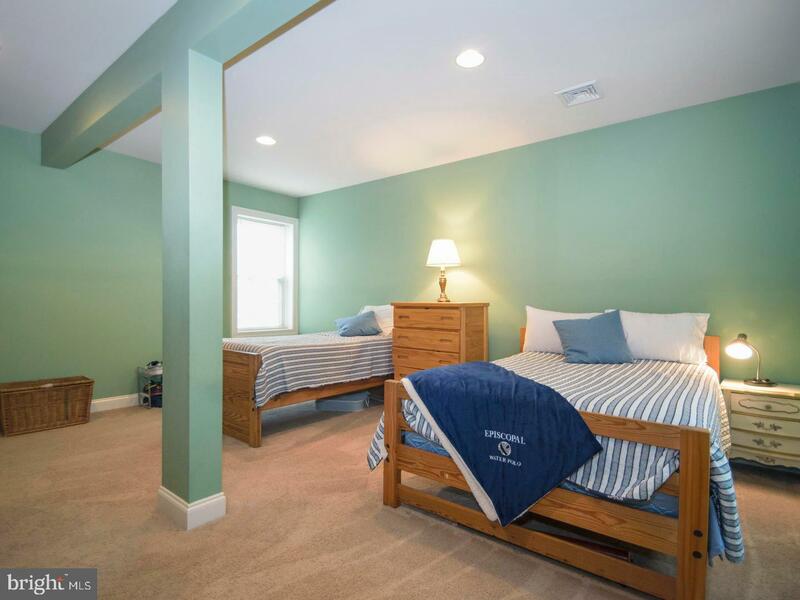 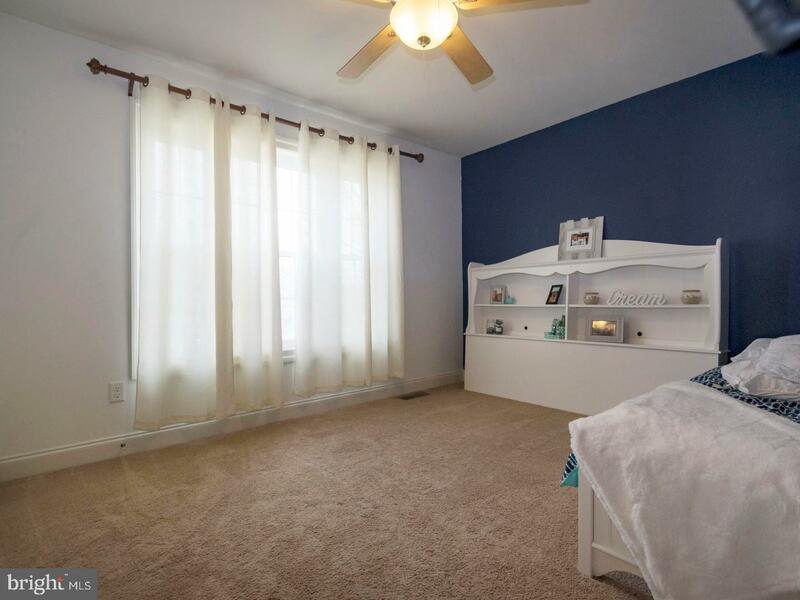 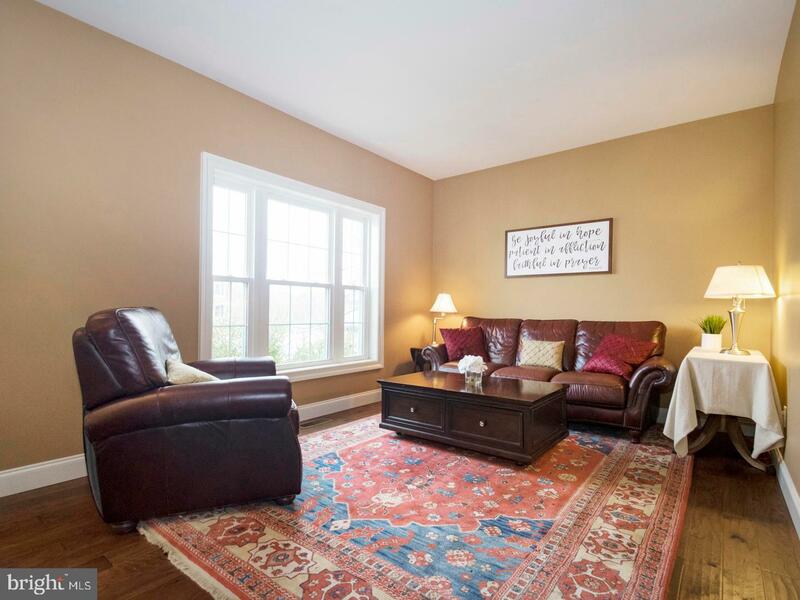 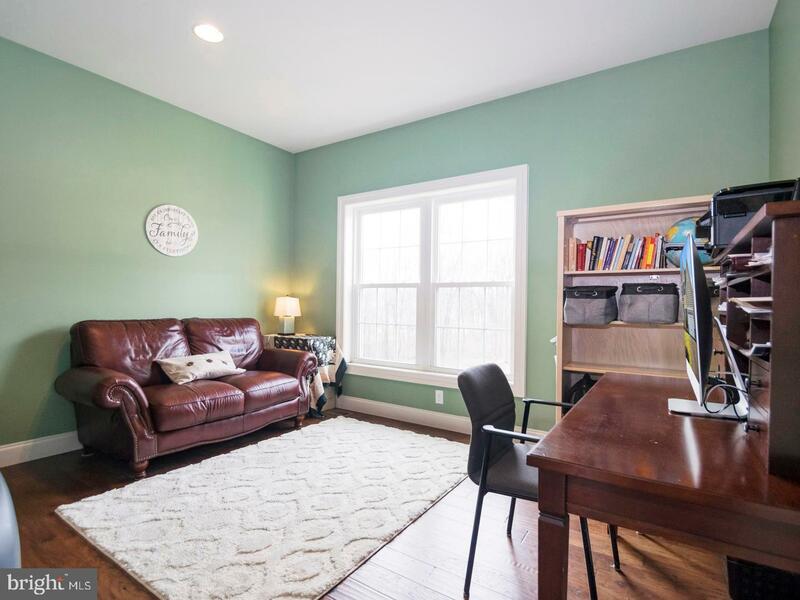 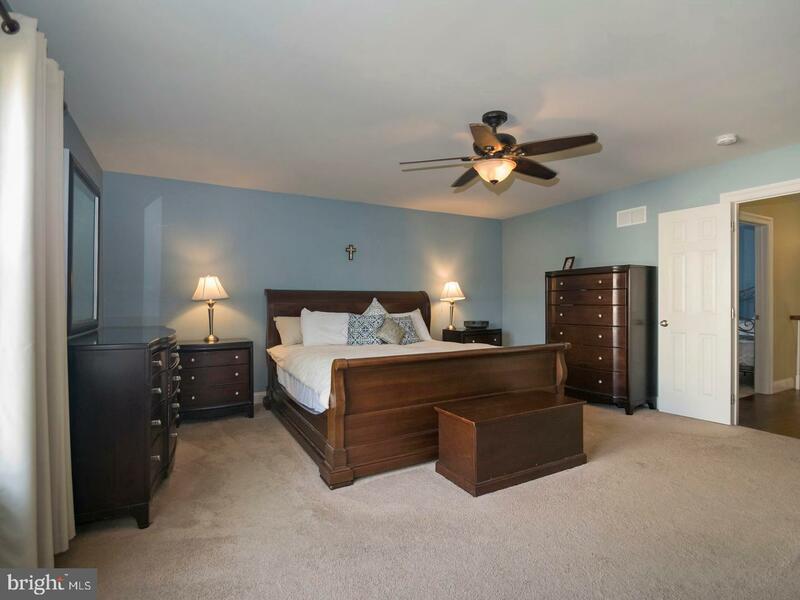 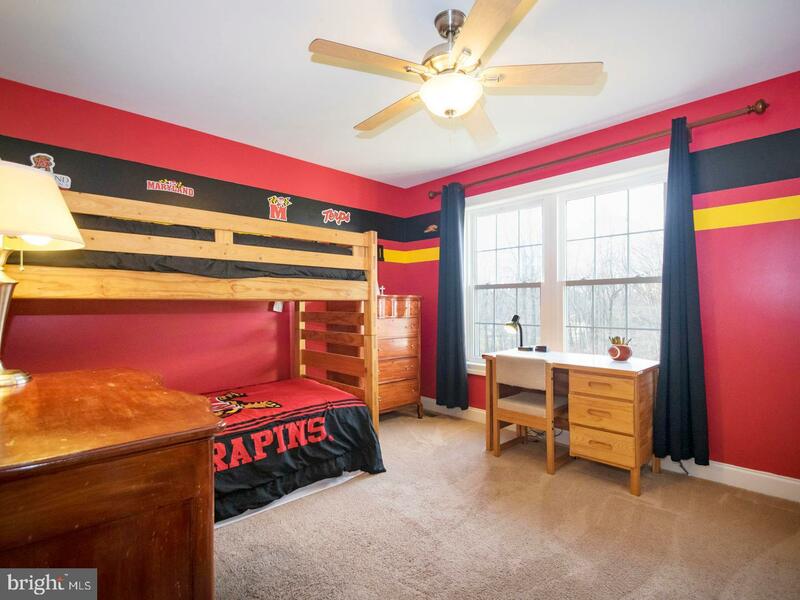 The basement bedroom and bathroom is a great place to host out of town guests.The partially finished basement was upgraded during construction to include 9~ ceilings and tons of extra windows and double door walk out access. 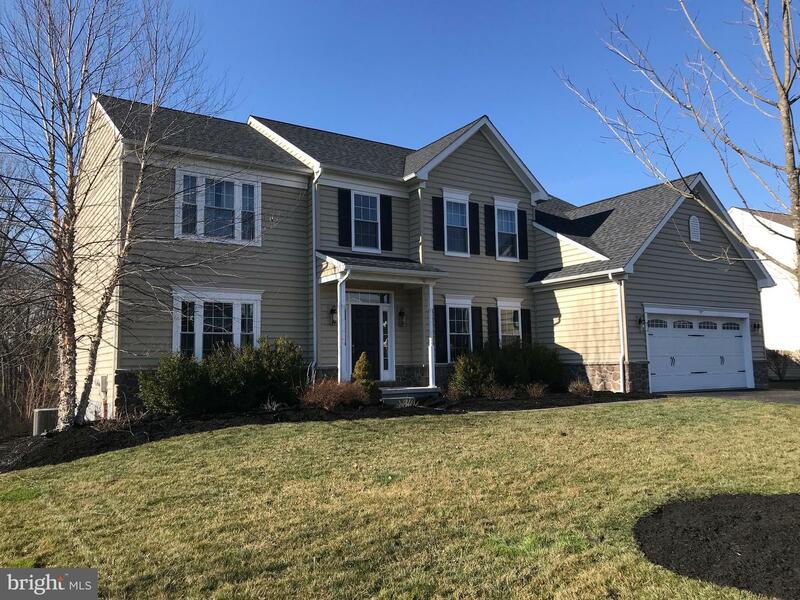 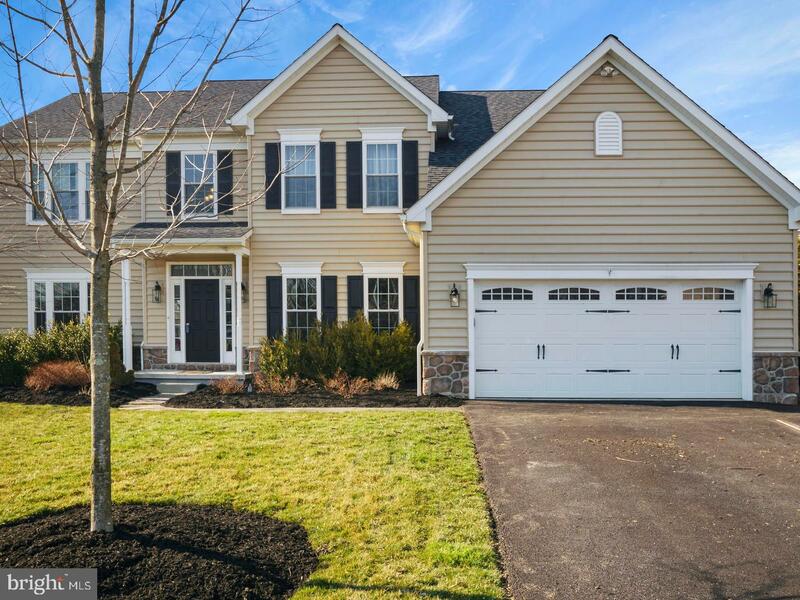 This generously upgraded six year young home is an absolute must see and an incredible opportunity to enter into a new neighborhood at below new build price.